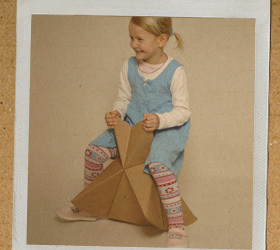 foldschool is a collection of free cardboard furniture for kids, handmade by you. The downloadable patterns can be printed out with any printer. Follow the instructions and assemble a stable piece of furniture.